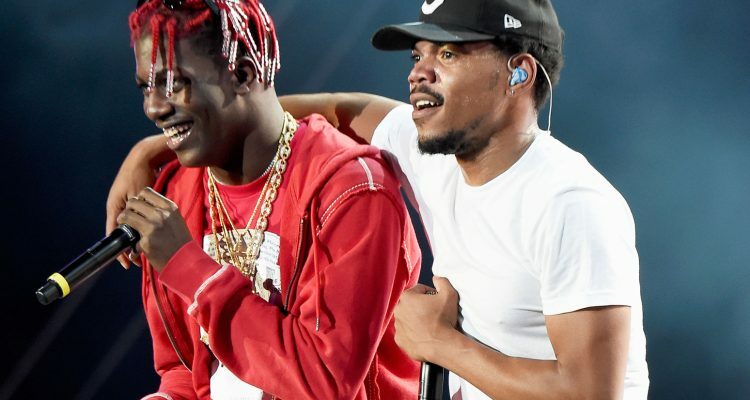 Although Chance The Rapper is locked into album mode, he decided today (April 11th) to let go of a song with Lil Yachty that he’s been holding on to for a bit. The track, “Atlanta House Freestyle” was released through the Chicago native’s Soundcloud. Chance and Yachty float over the Earl The Pearl production as if the beat is to be used as a lyrical exercise. The “Get Dripped” rapper pushes the pace in his second verse. With tax season in full force, he seemed to be appalled at how much he owed the government this year: “Top of the year, tax came, I was too sad/ Coulda built a whole middle school out in Trinidad/ Funny guy probably goin’ to hell ’cause he sin bad,” he softly rhymes. The Grammy winning lyricist ups the ante while closing out the freestyle, reciting “Sit a little high like nosebleed/ Always ten toes like both feet/ You come into the room, make the hoes leave/ I come into the room, make ’em holy/ I run through the city like the red line/ Young n—a ’bout to make headlines.” This could be a taste of what’s to come on Chance The Rapper’s upcoming project, so give it a listen below.